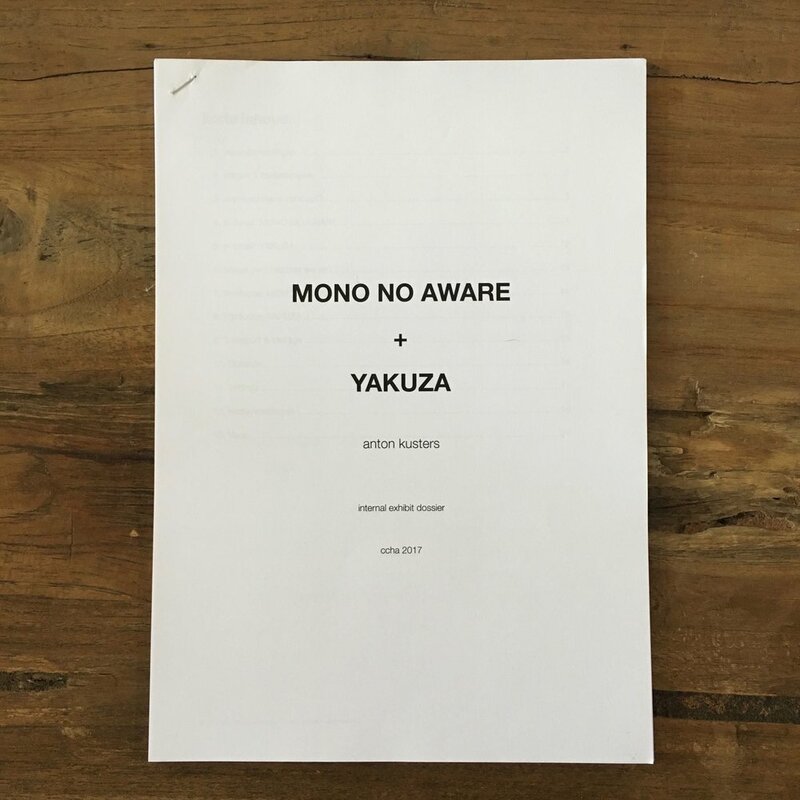 So much has gone into my current Mono No Aware + Yakuza exhibit – it's the largest one I've had in my career to date – that I thought it might be a good idea to describe some of the things happening behind the scenes. I was invited for a first conversation with Gerhard (the director) about 13 months ago. 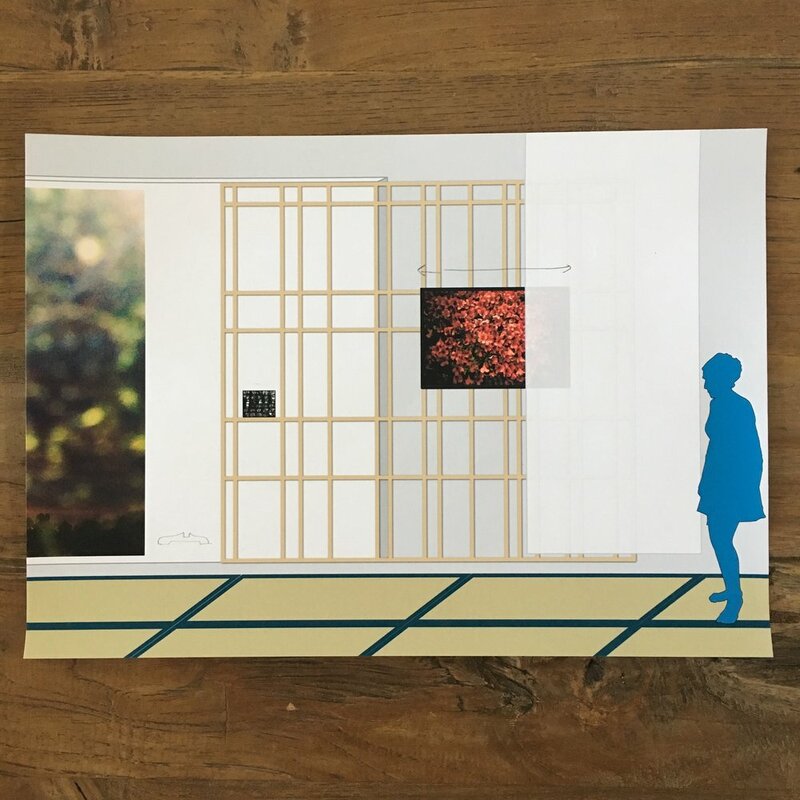 A simple premise: "next year is a city-wide celebration of the 25th anniversary of the city's relationship with Japan (Hasselt has an exquisite Japanese garden - the largest in Europe), your images often have a connection to Japan, might we find common ground?" As Hasselt is my home town, everything seemed like a very nice potential fit. Gerhard had seen Yakuza exhibited before, and Mono No Aware at Ingrid Deuss in Antwerp. 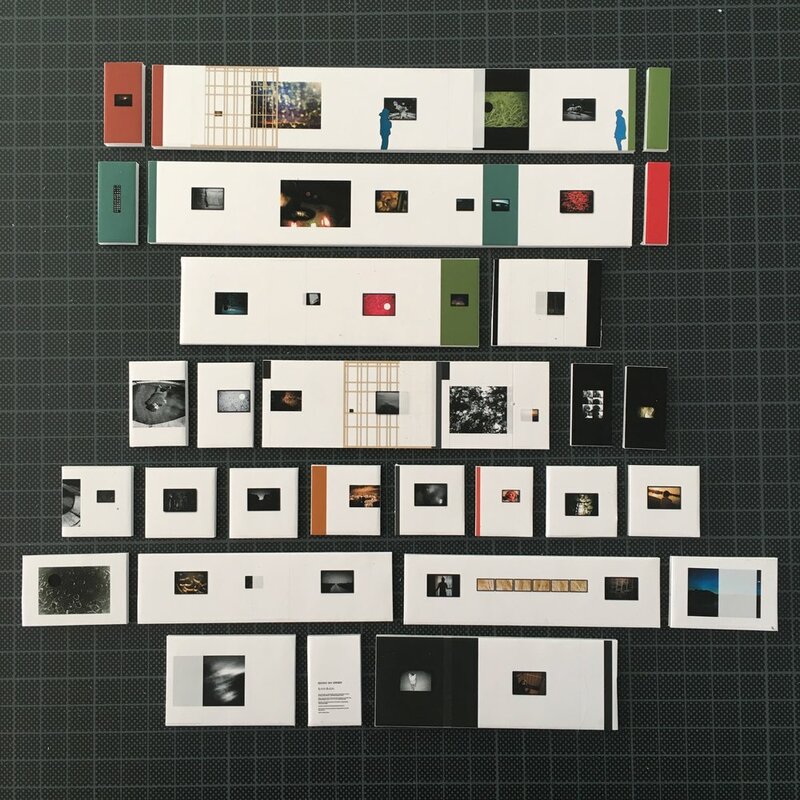 In the larger whole of the city wide celebrations, it seemed logical to display both bodies of work, and to focus on the newer, mostly unseen work of Mono No Aware. They would each get a separate space in the building. As you can imagine, this proved to be too expensive... I had to find a way to work with the space instead of against it. Because I've extensively used Japanese rice paper and goza mats in installations before, maybe they'd come in handy this time as well. Even though the sketches were very basic, they were excited to go for the key elements of high walls, circles, rice paper, goza mats and colour. I could start making a production dossier next. specific production sheets for the lab, the frame maker, etc. As soon as the budget was approved, I could start production... First setting in motion the things that would reasonably be expected to take the longest or have insecure delivery dates, i.e. ordering the custom made goza mats and rice paper in Japan and getting them shipped to Belgium and through customs. Thanks to my brother and sister-in-law this all went without a hitch. 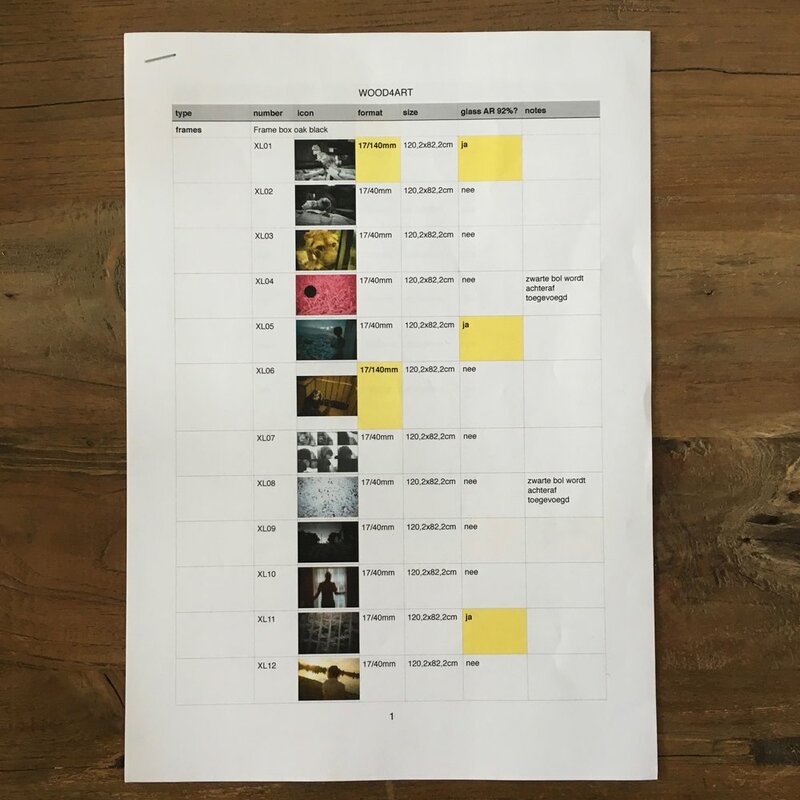 A schedule of days reserved for the build up was spread out over 3 weeks in April, starting on the 3rd, and the opening being on the 23rd (with a private viewing on the 22nd). The first week would be used for construction of the walls and the painting, while we started sewing the mats. The second week the system to hang up the rice papers would be tested, and on the 18th all the artwork would be delivered and everything would come together. Most of my time went into designing the actual exhibit, while communicating with the technical staff along the way as to where they might foresee problems installing, visitor flow, or anything else. 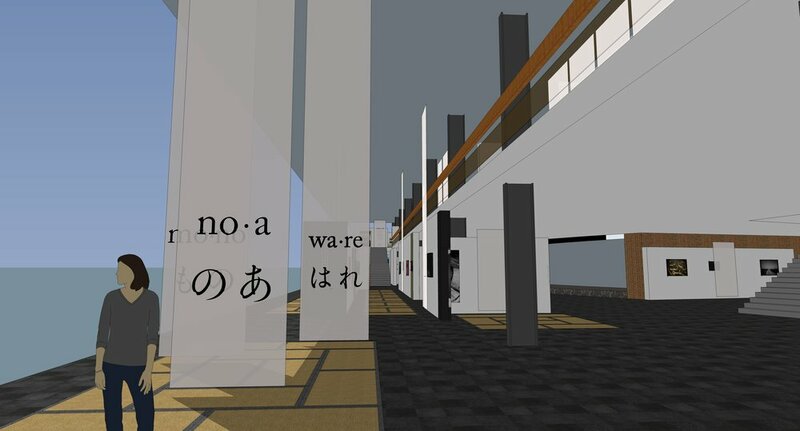 In this specific case, the exhibition space doubled as the foyer of a theatre (seating 900), so I needed to take this reality into account. As a bonus, this also meant that most probably many more people would see the exhibit, literally passing through it on their way to watch a play or a concert. 3D helps me to get a grasp on variables that I can't see in 2D. However, I still always start with sketching on paper, then printing and cutting out all the images and laying them out on a floor plan / wall plan, slowly moving to digital along the way. In the meantime, things start appearing in the press, and my control strips arrive from the lab. More work to be done. 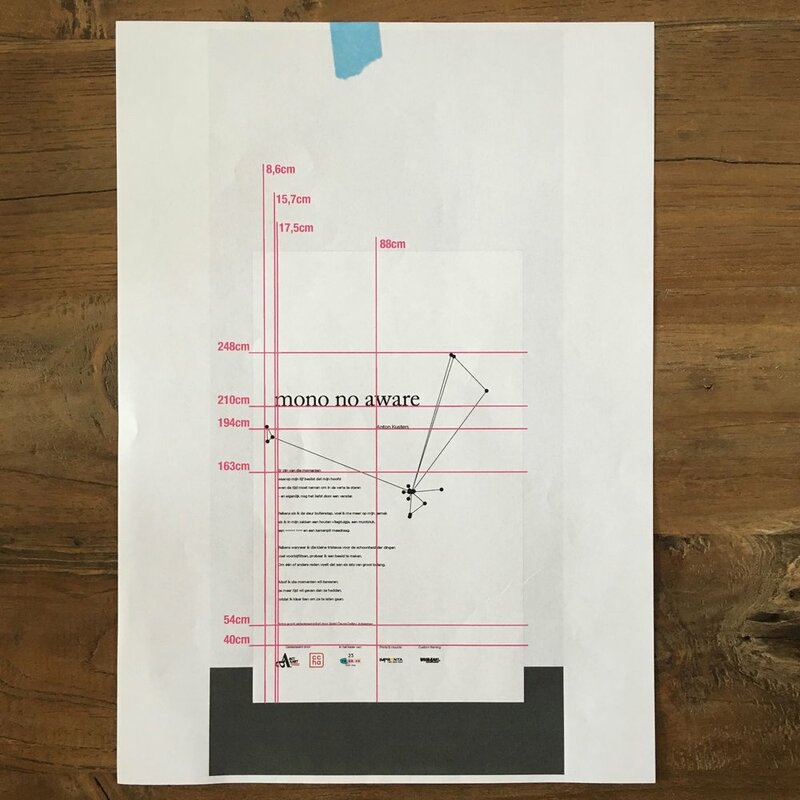 Images are to be printed on different media and across very different sizes (from tiny 8.5x11inch to massive 9ft wide posters), and every digital file needs to be dealt with individually. Erwin, head technician, tells me it's time to deliver the wall colours: I verify each color with its corresponding color code so the paint can be mixed. The walls need to be painted about 10 days in advance so they can dry thoroughly and self-adhesive posters (or anything else that needs to be stuck) can be applied safely. All in the while, the tech guys are building the walls. 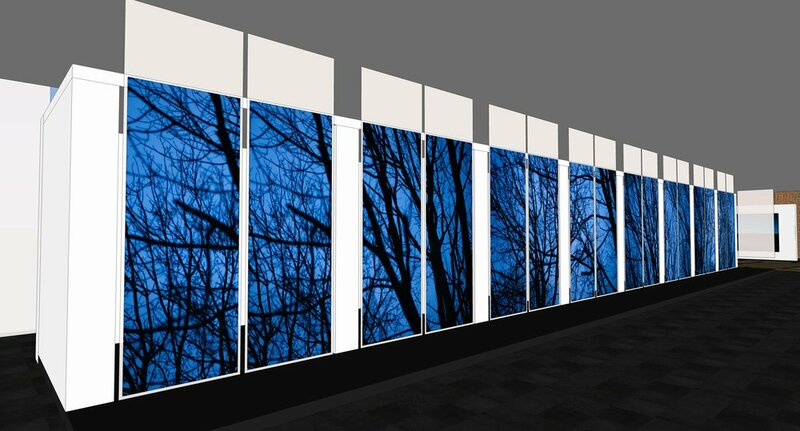 Also a test shoji screen is made at a 1:2 scale. Paint is delivered and painting begins. And then they deliver the outside banner. 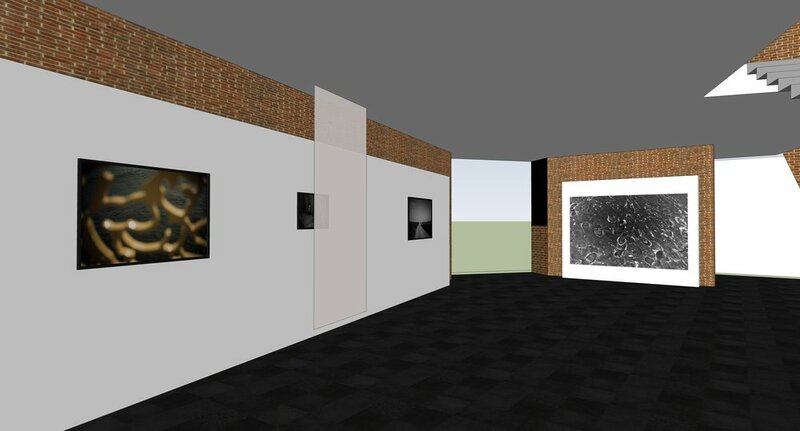 I print a paper for every single wall, with a visualisation and all necessary measurements. They remain on the walls until final inspection, so everyone working on a wall has all information at all times. 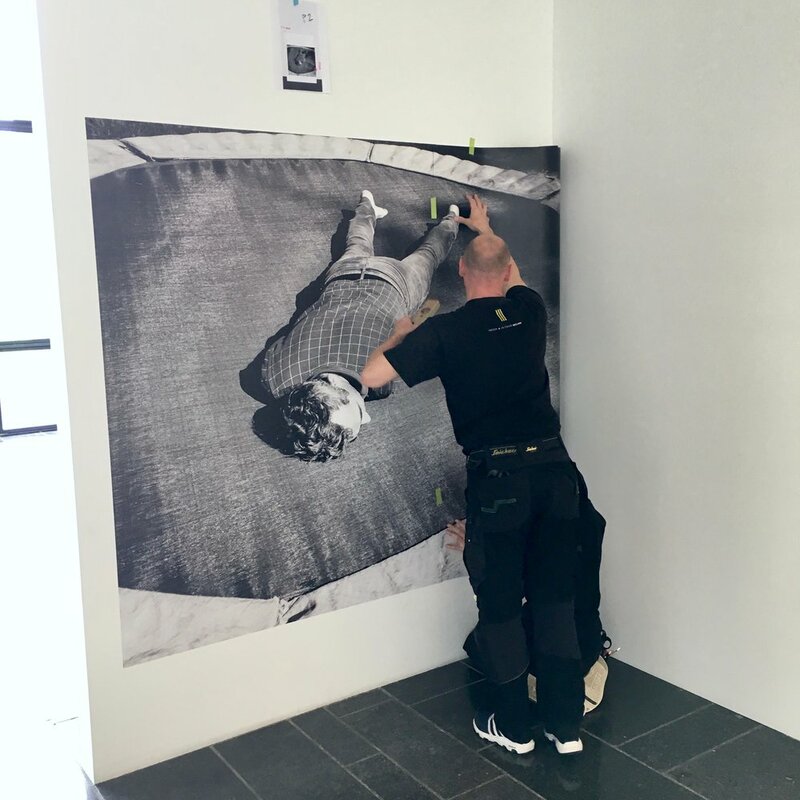 Then the posters are installed, the artworks are hung, the rice paper is cut to size and the vinyl letters are attached: we're nearing completion. At the very last moment we have to hang the final rice papers from the ceiling, which takes a full day and a half. A few hours later, the vernissage.... and all stress melts away. I'm so incredibly grateful to be able to work with my family and such dedicated and professional people, and an organisation that believed in the concept in the first place. Needless to say, you must come and see... it's totally worth it, I promise. As a final bonus, here's a video walkthrough.